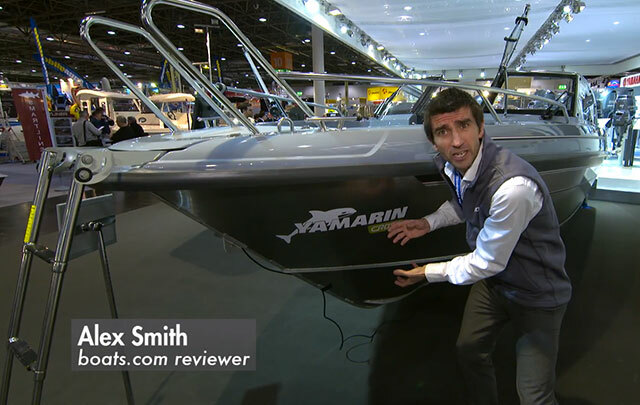 Alex Smith examines the top dog in Yamarin’s new aluminium-hulled Cross range… the Yamarin Cross 60 Cabin. 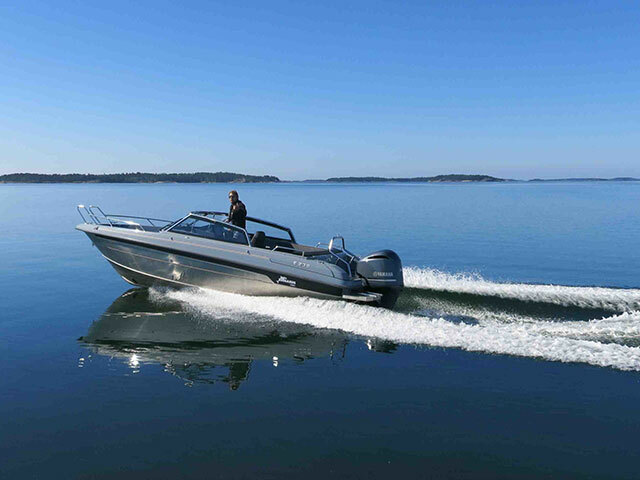 The prolific Yamarin stable has expanded its fleet of small powerboats in the last year or two and the Yamarin Cross 60 is just one of the new models. 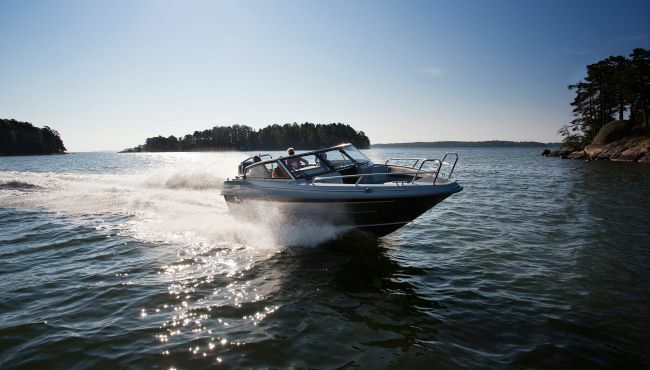 In addition to 25 GRP models from 13 to 26 feet in length (in a range of formats from Day Cruiser to Bow Rider, Cabin, Hard Top and Centre Console), it now has a six-strong range of ‘Cross’ craft. 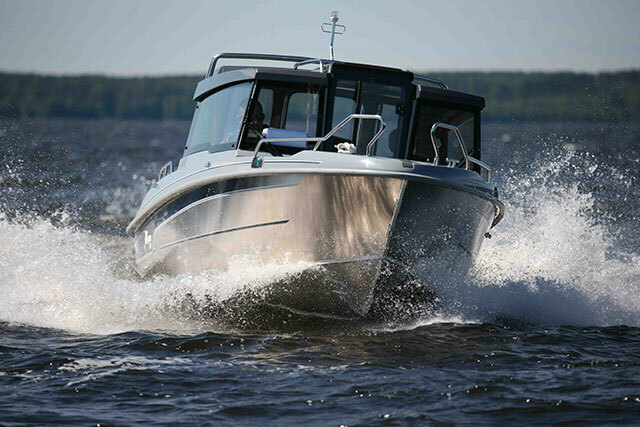 These are the first leisure boats in the UK to bring together the renowned practical merits of aluminium hulls with the attractive, leisure-friendly aesthetics of GRP decks and topsides – and having achieved great popularity in the Scandinavian market, there’s no doubt that this hybrid design makes a great deal of sense. The Yamarin Cross 60's bow. 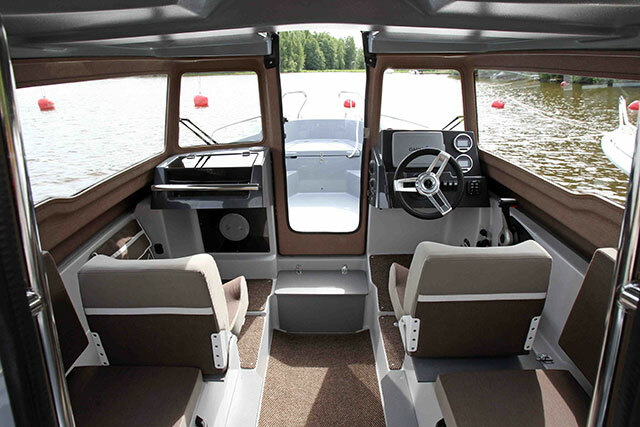 The Yamarin Cross 60 C might be the first cabin-equipped craft in the Cross line, but with three established Cabin boats in the GRP range, Yamarin is certainly no stranger to the demands of this kind of layout. Designed as a versatile family cruising and fishing craft, the four-season Yamarin Cross 60 C borrows heavily from its siblings with a large, open-plan cabin which majors on comfort, refinement and versatility. When you step from the cleverly arranged aft cockpit through the heavyweight doors with their robust rubber linings into the deep, spacious, internal cabin area, it is difficult not to be impressed. A low-slung, unbroken, carpet-lined, central walkway leads you between a pair of lateral mini-benches to a helm station that enjoys all-round visibility as clear and panoramic as any in this sector. 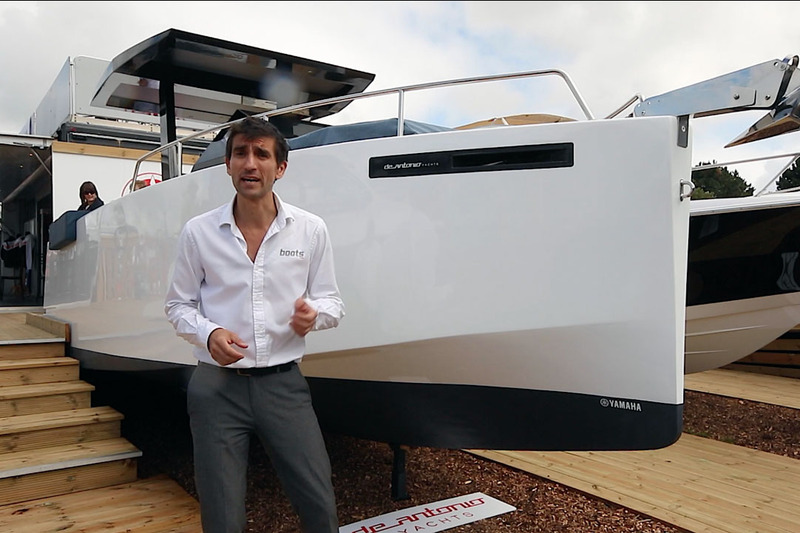 Below decks on the Yamarin Cross 60 is impressive inside. However, there is no means of opening these big upright windows and no sunroof overhead to generate the openness the sturdy topside structure lacks. What you do get instead is a second forward door with a hinged roof hatch to aid access to the forward deck and freshen things up on a summer’s day, plus a second external helm position on the starboard side of the aft cockpit. Again, visibility is surprisingly good back here and while this second helm lacks the trim tab controls of the main helm (making it somewhat flawed in a substantial cross wind), it remains a very useful asset. Elsewhere, the doors, linings, hatches, hinges, braces and catches are all beautifully conceived and of a very high quality – and the convertible double bed in the aft part of the cabin is very handy indeed. However, go through the excellent hatch-assisted bow door into the forward space and it feels like the designers got bored and went home. There’s simply nothing going on here except a deep, V-shaped bow deck with a step-through rail and an anchor locker. 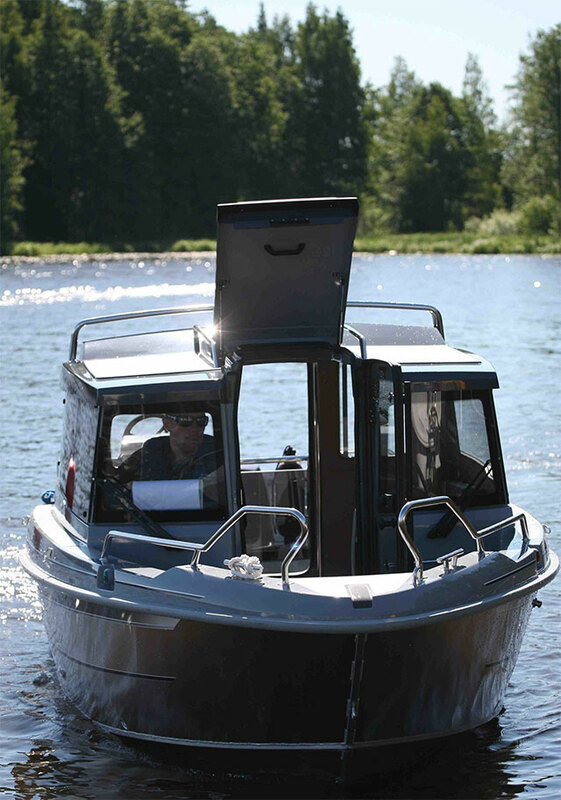 It’s apparently designed to facilitate the easy loading and unloading of bulky gear and you can’t argue with the boat’s success in that particular regard, but there is no doubt that this space could have been better used for seating or storage without inhibiting the movement of passengers. 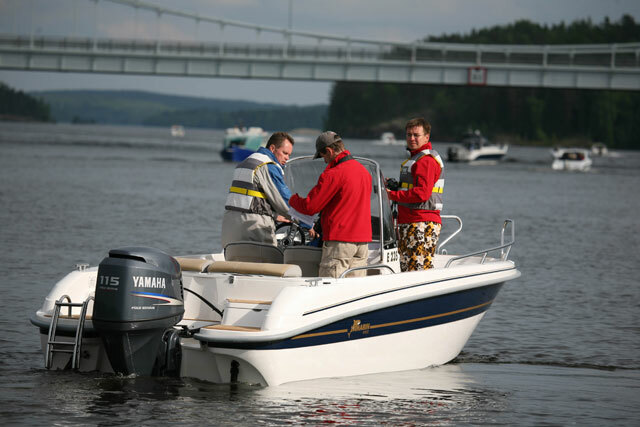 The Yamarin Cross 60's F100 performed well - although opting for the F150 would give even better performance. 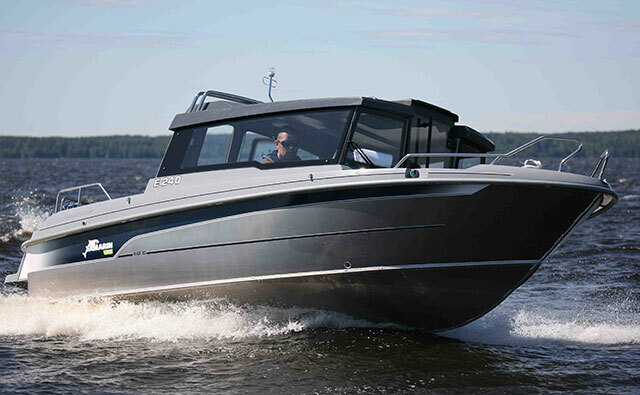 Although rated to 150hp, our Yamarin Skipper tells me that the vast majority of people (perhaps 95 per cent) tend to opt for the more modest F100. This is not on account of fuel savings because the relative efficiency of the two engines on this boat is much the same at the most common speeds of 22 to 25 knots. Instead, it’s about saving around £4,500 on the initial purchase price without sacrificing too much performance in the key areas. However, the topside mouldings do give the 60C quite a weight-forward bias (and I would still want to be able to load her up without concern or use her for a bit of summer skiing) so if I was planning to invest in this boat, a ten per cent saving for a third less power would make no sense to me. Instead, I would avoid false economy and opt for the more versatile F150. Having said that, with three men on board, the F100 does put in a very decent shift. 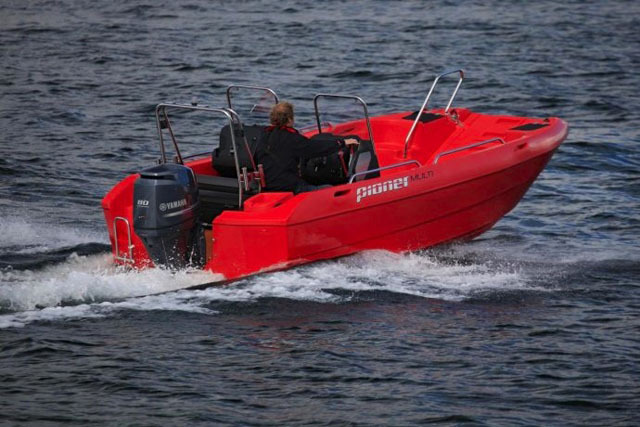 A modest cruise of 16 knots at 4,000 rpm brings us an impressively frugal fuel flow of 16 litres per hour and at a more progressive 25 knots, a fuel flow of just 22 litres per hour makes even more sense for those keen to maximise the cruising range. However, at all speeds, the most remarkable element of the experience is the refinement. The outboard is tucked behind elevated partitions, so engine noise and fumes are virtually non-existent and it’s also impressively quiet down in the cabin, with not a hint of the slap and boom so often associated with aluminium-hulled boats. It is impressively quiet below decks with no hint of the slam and boom often associated with aluminium-hulled boats. Of course, the forward bulk of this boat’s topside structure means you have to give her about three-quarter trim to really free up the hull, but once you do, a very efficient plane is matched by the traditional Yamarin handling virtues. You can leave the throttle set at a given position and use the trim to lift or dip the pace - or you can take her to the top end, drop the trim and throw the wheel into a full lock. With a bit of grip, a bit of slip, a stable heel and a washing off of perhaps 30 per cent of your pace, you turn without the slightest bit of fuss or drama. It is (like most of the Yamarin range) as close to an idiot-proof drive as the novice could possibly want. 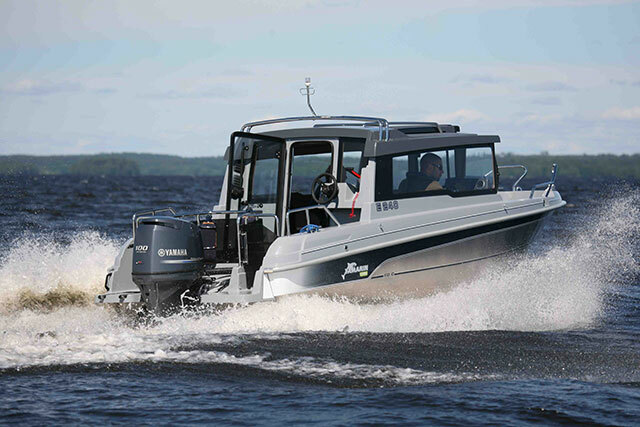 As the top boat in the new Yamarin Cross range and the only Cabin-equipped craft to benefit from this new hybrid construction system, the Cross 60C is a remarkably capable offering. It combines excellent build with an easy, refined drive and the versatility of a convertible four-berth layout. 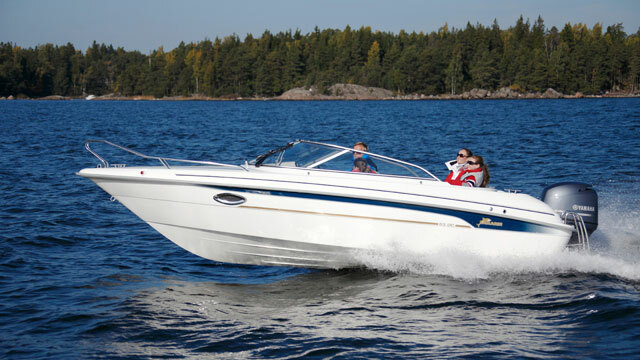 The blunt-headed aesthetics might be a touch challenging for some, but if you spec this boat with the top-end F150, fit some trim tab switches at the secondary helm position and take advantage of the optional heating system, what you have is a fiercely effective and remarkably efficient four-season family leisure boat. 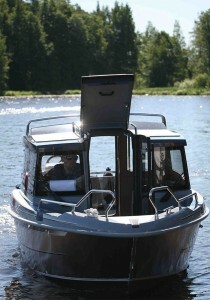 Power range: 70 - 150 hp.